This Riva 68' Ego Super is one of Italys most iconic products, and knows how to turn heads with its black hull and bronze superstructure. The exterior styling of MIROMUTU leaves you in no doubt that this design has been produced both to impress and to perform. 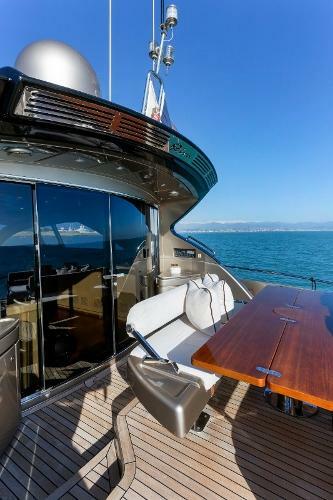 In typical Riva style, there is nothing spared in the attention to detail onboard; from her teak handrails to the curved cross strips on the Passerelle grating, the mini-Bimini that is incorporated over the head of the forward sun bed means you can enjoy shade or sun at the touch of a button. It is these kinds of luxurious, personal touches that make MIROMUTU unique. Inside you can enjoy entertaining friends in a beautiful and stylish setting, with white leather sofas and teak-veneered furniture. The galley has a large fridge and a large amount of stowage space, as well as a full stove and dishwasher for easy living on board. The Ego is a three-cabin yacht benefiting from a full beam master cabin with its large hull glazing bringing in plenty of natural light, as well as offering magnificent views while cruising; in addition to this you have a VIP double cabin and a guest twin cabin. 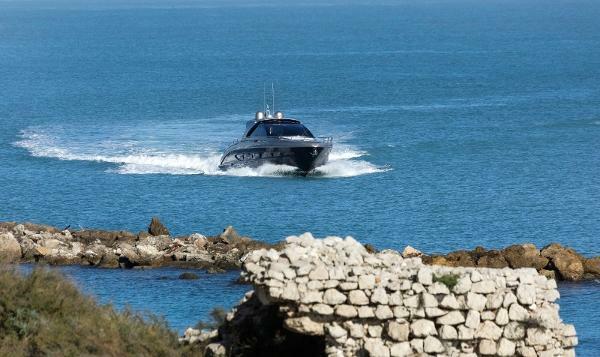 Performance is key with the 68 Ego, this sporty yacht is a joy to drive even in difficult sea conditions, making her competition pale in comparison. Her top speed of 39 knots makes for a thrilling ride. 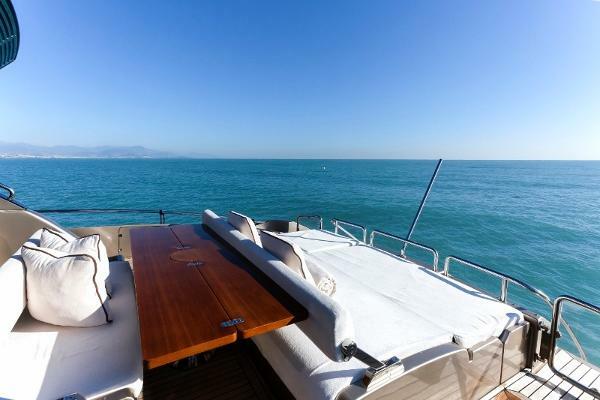 The 23 x 6m berth for MIROMUTU is also available for sale separately, located in Antibes. Please enquire for further details.